Digital marketing, best digital marketing, digital marketing in agra, Google Ad Word | J2 Soft Solutions India Pvt. Ltd. | J2 Soft Solutions is the best business promotor in acrros india, north india best digital marketing company, dedicated team working, everything is one roof solution, best website development company, J2 Soft Solutions is best platform to develope your business. J2 Soft Solutions offers its clients and budding entrepreneurs a wide range of Google SEO, Google Ad Word services backed by white hat practices and in-depth understanding of recent search engine's algorithms (Panda and Penguin). Our professionals remain stick to existing Google SEO standards and guidelines while running campaigns. During the process, we never compromise clients' interests and their business goals. Our Google SEO (Panda and Penguin compatible) consists of a set of activities designed as per clients' business requirements adhering recent Google Panda and Penguin algorithms . 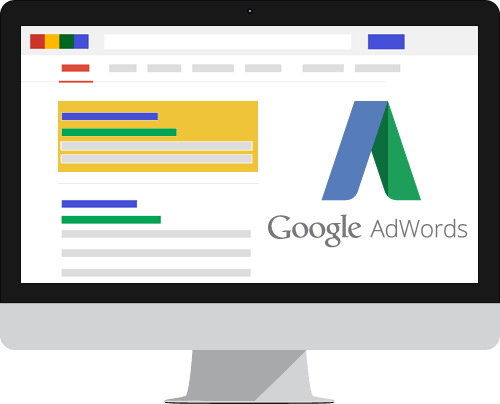 We have a number of packages that tailored to fit your company’s campaign requirements and capable enough to give your website Guaranteed Top 10 Rankings in Google. Our ethical Google SEO Services involve expert knowledge of both marketing and technology. To ensure guaranteed top 10 rankings to our clients, we perform complete analysis of keywords, its competitiveness and present positioning of the website. Google's crack down on spammers in the form of manual penalties shows its commitment to ensure an improved user experience. If you are under the Google's hammer, our Google Penalty Recovery Services will certainly help you out. We accomplish the penalty recovery by rectifying the ranking issues and assessing the problem areas. If your website faces Google penalty and hits the bottom due to Penguin, there might overly-aggressive anchor text available both internally and externally. Our search engine optimization professionals diagnose whether the drop is site-wide or keyword specific and whether or not a webmaster tool signifies it as Google penalty. Once we establish the fact, we go ahead with several important SEO activities together to weave a winning SEO campaign. Our dedicated SEO professionals ensure no un-natural and poor quality links in your website. To recover your website from the Google penalty, they perform a number of other activities such as proper link and anchor text analysis, complete spam removal, removal of instances of on-page Google Guidelines violations and analysis of over-optimization and cupcake effect. We take pride in saying that our Panda and Penguin compatible SEO Services India comprise a number of activities designed as per penguin and Panda updates and pertinent for higher rankings in search engines. We perform comprehensive and thorough evaluation of your site to ensure significant progress and gain over your nearest competitors. At BrainPulse, we act responsibly to generate desired deliverables and work consistently to maintain the set standard of our SEO services. We have devised our SEO packages keeping in mind the latest Google algorithms and updates. Browse through our Standard SEO Plans to know how we help you to gain extreme visibility and higher rankings in search engine. You can call us for a free website SEO health report and alternatively send us a proposal request to know which of our plan suits your business motives the most. Still have queries? Call us now on 805-658-474 to get in touch with our SEO Services Experts. They will tell you about our exclusive SEO Plans made specially for the businesses like you.